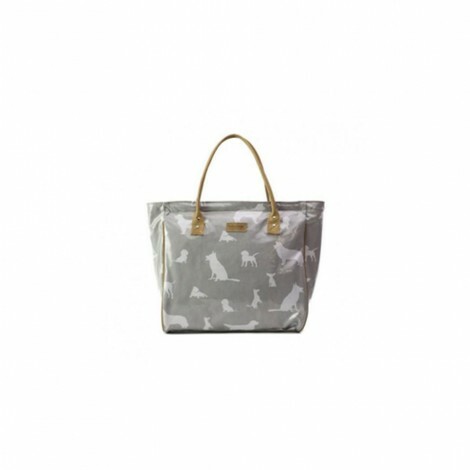 Other Features Emily Louise quality handmade laminated fabric Shopper Bag. The bag is secured with a top bridge YKK zip. It has two genuine leather handles and brushed silver trims. Inside there is a zip pocket for money or keys. The Emily Louise leather logo is stitched on the front.